ARTFUL LEIGH: Clique Kits Pep Rally October Blog Share and November Kit Reveal!! 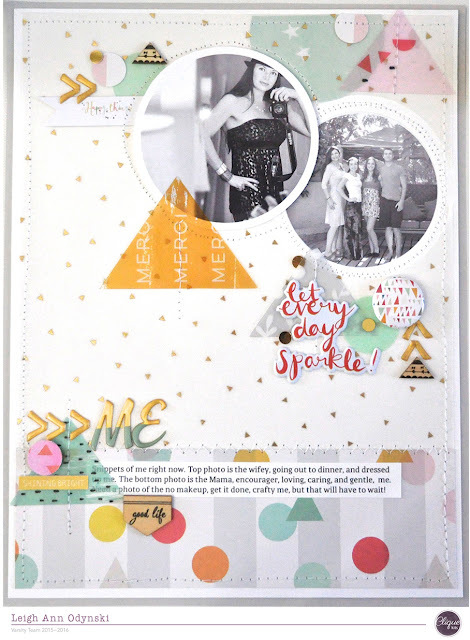 Clique Kits Pep Rally October Blog Share and November Kit Reveal!! Yay! Welcome to this fun filled blog share called Pep Rally!! I am sharing the layouts I made with the Clique Kits October Funfetti Kit. I got 7 layouts out of this one kit and have 3 nearly full sheets of paper and plenty of embellies left to create more layouts! Yes! Love playing with new papers and exclusive Clique Kits stuff! 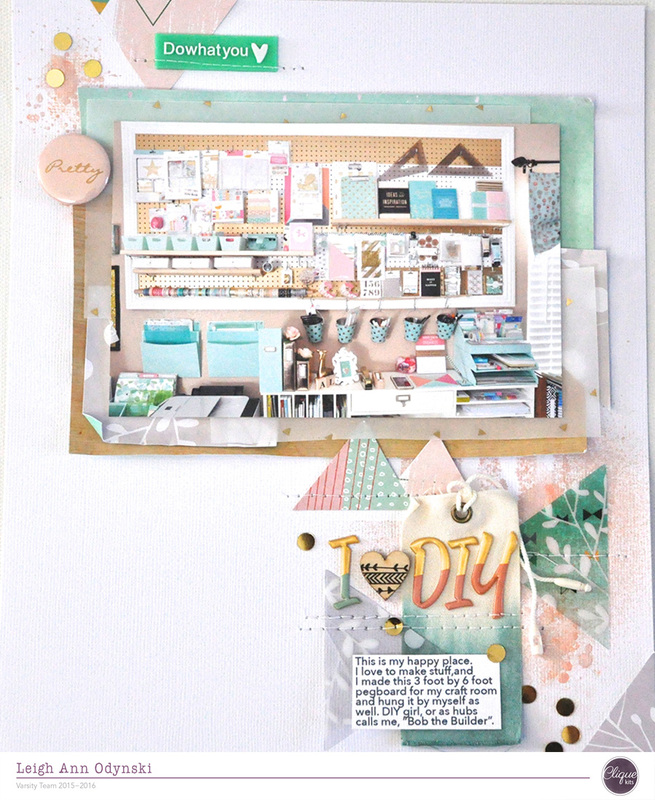 Layout 2: from the Sept. 21st Geek Lab post on the Clique Kits Blog featuring the exclusive cut files and printables included with your kit. Layout 3: from the Sept. 25. Yearbook post on the Clique Kits Blog using the exclusive pocket cards from the kit. 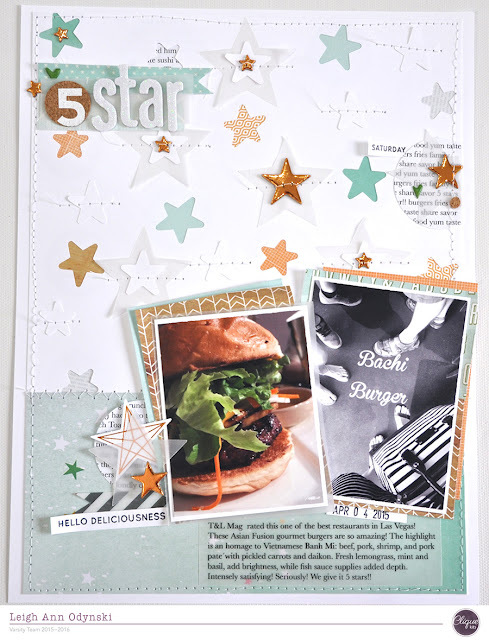 Layout 4: from the Oct. 6 Geek Lab Clique Kits Blog post featuring the exclusive cut files from the kit. Layout 5: Oct. 15 Clique Kits Blog post called Art Studio "Mac Love Layout" featuring the exclusive cut files used to make a reusable stencil for the Whipped Spackle, or any texture paste. Layout 6: from the "Meet the New Team" Blog Share on October 1st. 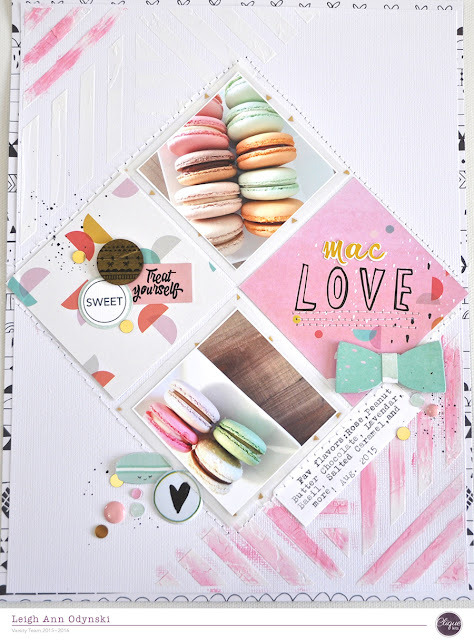 Layout 7: bonus layout using the Pinkfresh Studio aqua Paper from the kit, and some scraps from older kits. Sneak Peek of the my layout from November Clique Kits called Tapestry. Don't forget to use my code if you want to get you some pretty stuff to play with from the Clique Kits Shop!! Don't forget to comment on all the blogs for a chance to win!! LOVE the burger layout! Looks yummy too! Wonderful creations all around with the kit! Love the way u used the digitals. The design in every layout is fantastic!! Love what you have done with every element of the kit! Leigh Ann, I am so glad you are on the Design Team this year!! Your layouts are beautiful!! They really make me want to run to my desk and create something!! I love all you made this month!! Thanks for all the inspiration!! These are all so awesome!! 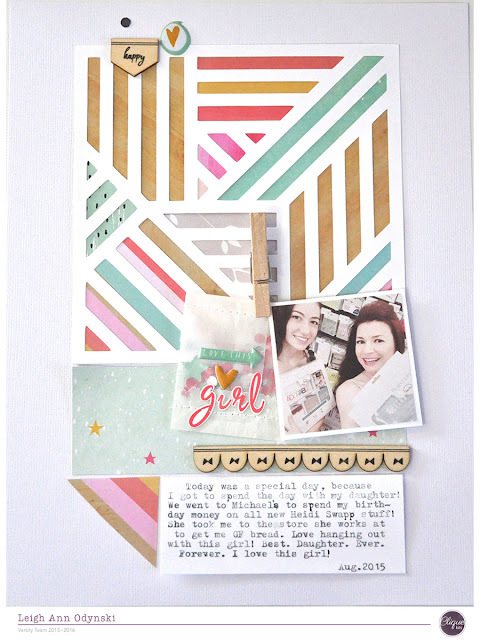 And thank you for sharing a photo of your scrap space! How perfect you clever thing! I most definitely want to do this in my scrap space now- thank you for the inspiration! 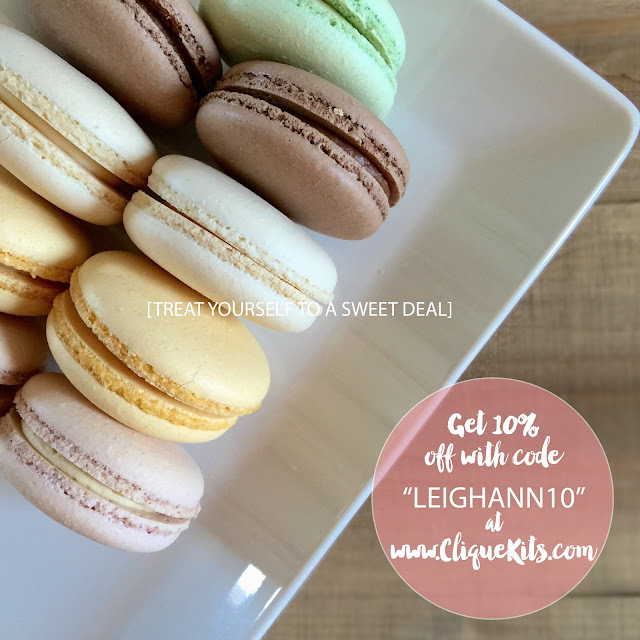 Clean yet full of soft colors and inspiration...and if you can believe it, I have never had a macaroon but my sister just got back frm Paris 2 wks ago and raved about them! 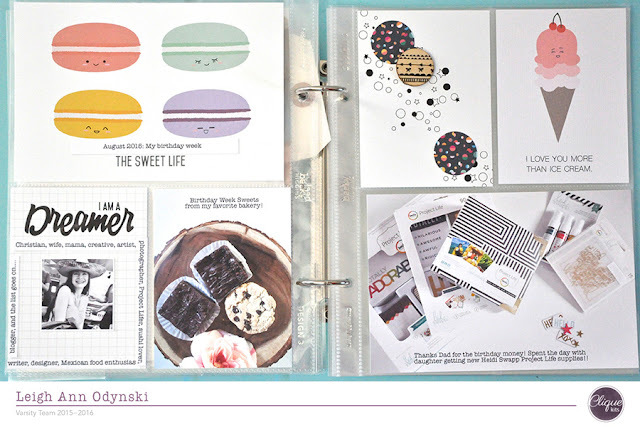 #bucketlist...it was my fav layout of yours , made me hungry for dessert!! Oh wow leighann i love your pages so much to look at and your designs totally rock! So much fabulous inspiration here - really really great work Leighann! WOW!!! So many great ideas for the kit! These are gorgeous - I especially love the layout with all the circles. Thank you Julie e ! Loads of amazing creations!!! I also love the November sneak! Seriously, you are one talented scrapper. Love these, especially the burger layout! yum. Your layouts are so fun. They are a joy to look at. all of your projects are GORGEOUS! !